Alcocer offers a highly diversified collection of 18th and 19th Century European furniture, paintings, ceramics and decorative art objects. We are especially proud of our extensive collection of 18th Century English and French clocks, as well as a selection of high quality Spanish silver pieces. Our gallery showroom is located at Calle Santa Catalina 5, within Madrid's "Golden Triangle of Art" close to the Prado, Thyssen and Reina Sofia Museums. We are an easy five minutes walk from Madrid's historic Ritz and Palace hotels, and close to the popular Plaza de Santa Ana. 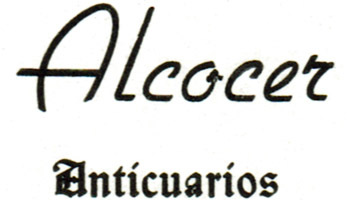 A well-respected fixture of Madrid's antiques community for over 100 years, Alcocer Anticuarios is widely recognized for our extensive experience and knowledge. We cater to a broad clientele of private collectors, interior designers, and museums. 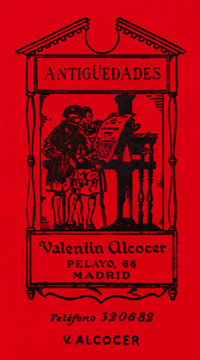 Pieces purchased from Alcocer Anticuarios appear in the collections of the Museum of the History of Madrid, National Museum of Decorative Arts, Carmen Thyssen Museum of Malaga, Museum of Fine Arts of Asturias, National Museum of Ceramics and Decorative Arts "Gonzalez Martí" Valencia, and the Clock Museum of the Palacio del Tiempo in Jerez de la Frontera. In addition to our native Spanish, we speak English and Italian, and offer specialized international shipping, insurance and customs assistance.